Family reunions were pretty boring when I was a kid. There was a potluck or picnic, depending on the weather. There was nothing special planned for children. After the meal, the “old folks” sometimes gave little speeches about some ancestor I’d never heard of and couldn’t have cared less about. It was a relief to go home! The one bright spot for me was Mary Delight. She was a spry, angular old woman from Indiana, and her food contribution every year was an enormous bowl – the largest I’d ever seen – of fat, perfect blueberries from her farm. Her name intrigued me, as did her warm smile and charming manner. I was too shy to approach her on my own, but I hung around the blueberry bowl a lot. One year she invited my family to come pick blueberries. It was great fun to dart among the endless rows with my brother and search the shrubs for the luscious, frosty-looking berries, stuffing ourselves in the process. Mary Delight died that year. 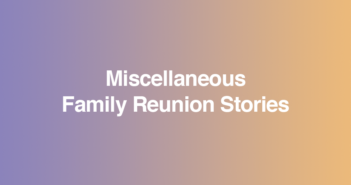 So did the family reunions. She was the organizer for many years and no one took her place. But I remember Mary Delight. I regret my shyness and wish I had gotten to know more about her. 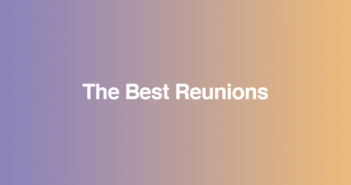 Now that I am middle-aged I often think of planning reunions. Perhaps there is a “Mary Delight” in your family. Isn’t there some way to get children actively involved in getting to know her? 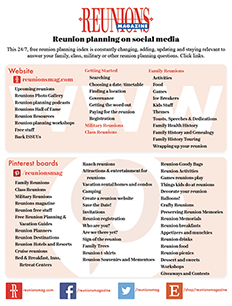 Plan a story hour for children at your next reunion. Every family has interesting characters and stories hidden here and there. Heroes and rogues, drama and danger, humor, triumph and faith. I’ll bet you’ll find a storyteller too – someone with a ready smile and twinkling eyes who loves children and stories. Maybe he (or she) will pass around an enormous bowl of blueberries – or popcorn – and tell what life was like on the farm where he grew up, and how his big brother caught him smoking behind the barn and “cured” him by dumping him head-first in the manure pile! If your storyteller is good, get him on video, along with faces of listening children. A family treasure for years – long after the story-teller is gone!